Judder is the brainchild of one Mr LEE CHAOS – formed from the smouldering ashes of his previous foray into DJing, The Exit Club, which after being deemed unsuitable for any residency took itself on tour to such unlikely venues as a boat on the Thames, a Tiki Bar and an awards ceremony. 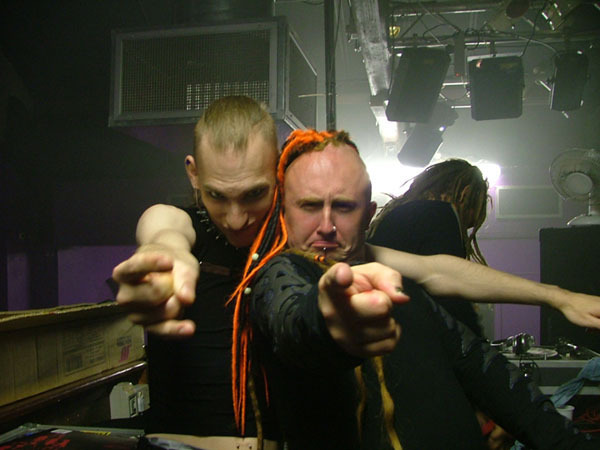 Lee then went and spoiled clubs up and down the coutry with his overly eclectic tastes in music, confusing punters in Sheffield, Brighton, London, Basingstoke, Bath, Oxford, and Bristol before being offered a monthly residency at Enigma nightclub. 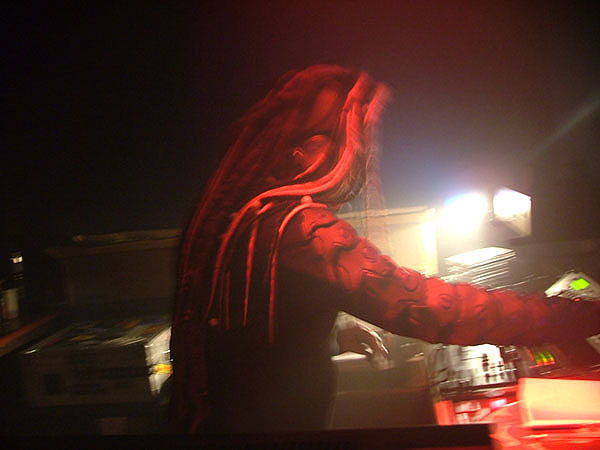 Having noticed that the DJ booth resembled a preacher’s pulpit, he jumped at the chance and in June 2003, JUDDER was unleashed on the unsuspecting masses of Cheltenham. Whilst perfectly capable of pinning down a 4-hour set with his own brand of madness and mayhem, Lee has also hand-picked and invited some of the most cutting edge true alternative DJs to share his booth and his vision of one dancefloor united by music you can’t help but go mental to. Highlights so far have included sets from Martin Atkins [PiL, NIN, Ministry, Killing Joke, Pigface], Adam Lab4, Paul Wolinski [65dyasofstatic], Johnny Violent [Ultraviolence], Mark N [Nasenbluten] and ‘takeover’ nights where Lee shared the decks with entire DJ rosters from other clubs such as Mutate/Wendyhouse [Leeds], Chains On Velvet [Norwich] and Control Frequency [Sheffield]. Judder has now expanded to take in the industrial / metal floor downstairs, expertly manned by resident DJs KungpAu and Aces High, and playing almost anything you dare to ask for! And Judder wouldn’t be complete without our hostess with the mostest, Charlie AntiGirl, who will make sure you have an awesome time and are full of sweets to keep you on the dancefloor all night!